Although natural stone surfaces are easy to maintain, proper care and regular maintenance is necessary to keep the surface looking new. By understanding what natural stone is and following a few simple guidelines, you can ensure that your natural stone keeps the beautiful look you love longer. 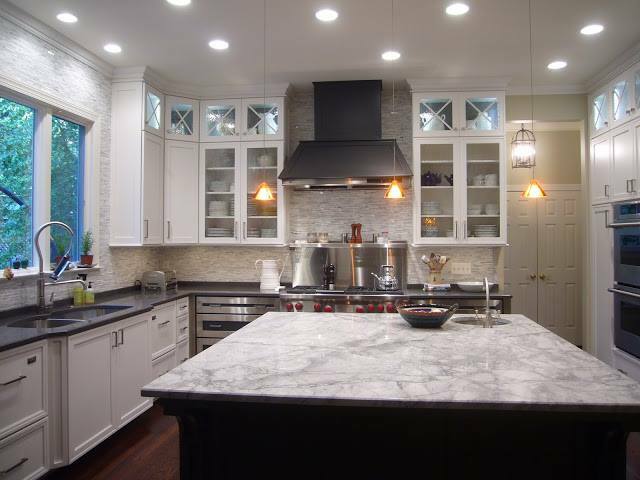 What is the difference between Granite & Marble? Granite is an igneous rock, forming deep in the earth's mantle at extremely high temperatures. It is a very hard, resistant stone made of crystallized minerals that generally does not react with acids. Marble is a metamorphic rock that starts out as sediment (animal skeletons and shells, plant matter, silt) at the bottom of bodies of water. After millions of years this solidifies into stone. It is a soft stone, so it scratches easily and can be affected by acids such as vinegar and citrus. 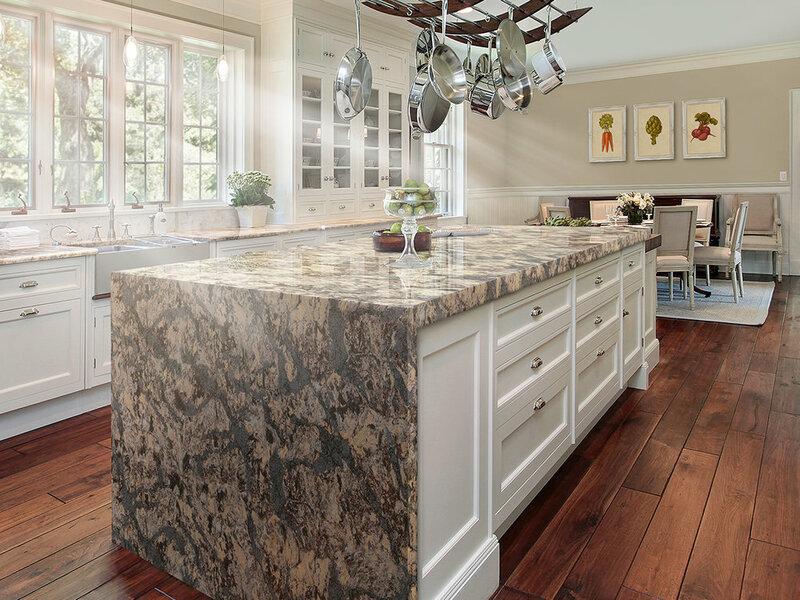 Which natural stone is best for kitchen countertops? Granite! Because it is a very hard stone, its polish is not subject to etching by household acids, or scratching by knives or pots and pans and because it is formed at such high temperatures deep within the earth, it is unaffected by typical kitchen heat such as hot pans or hot liquids. Other stone can be used in kitchens, such as Marble; however these are much softer stones that will scratch and stain very easily. Will my natural stone counter tops have tiny pits and fissures? Granite, which is crystalline in structure will sometimes have tiny pits and natural fissures which may look like cracks, but are not structural defects. They are a naturally occurring result of the immense heat and pressure which formed the granite. These characteristics are part of the natural beauty of stone and will not impair the function or durability of the material. What do i clean my Granite with? 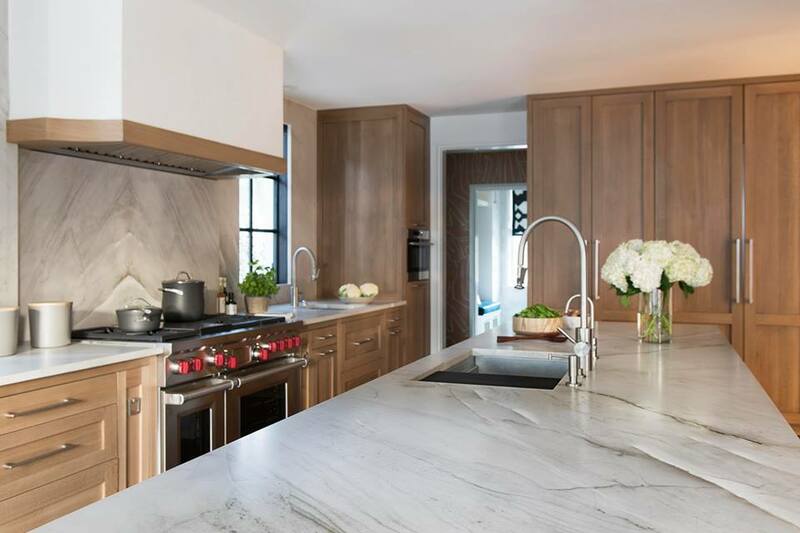 Using something as simple as soap and water works fine, however, some of the minerals in the water can build up on the countertop surface, so a cleaner made for natural stone is recommended, if not daily, then periodically. Never use any cleaners that are abrasive, contain acids, bleach or ammonia. One product we sell and recommend is Grand Quartz 113M 3-in-1 cleaner/polisher/protector.